It has been a while since I’ve shared a recipe as I have been busy practicing Korean Buttercream flowers. 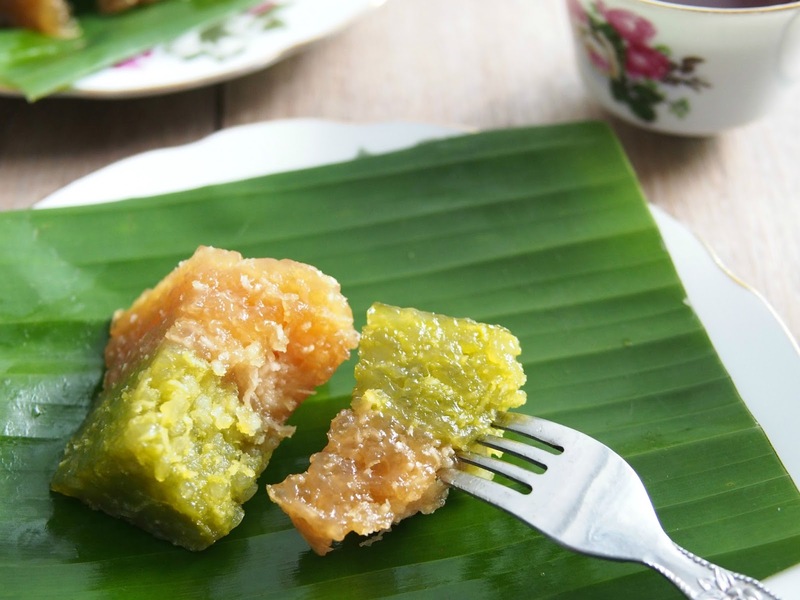 We were craving a soft, chewy and aromatic snack for afternoon tea break. 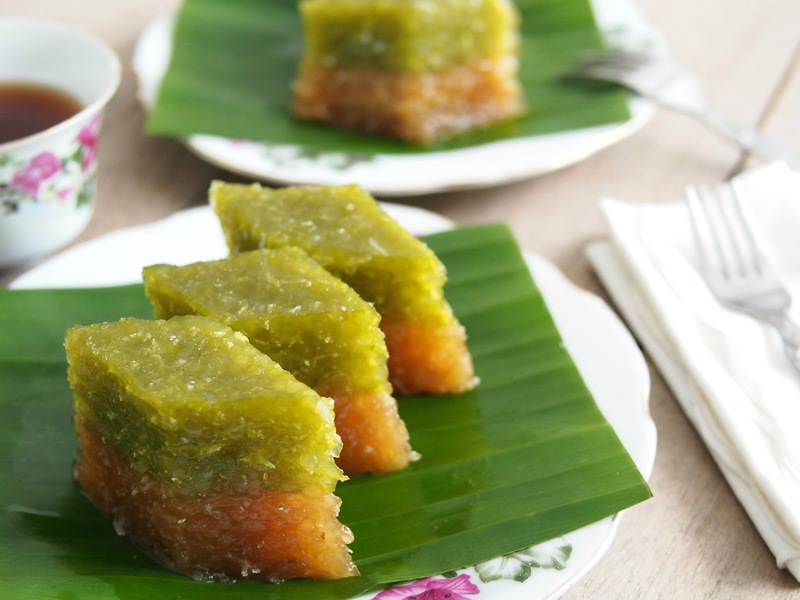 Steamed layered sago cake with Pandan and Gula Melaka seemed like the ideal solution! 2. 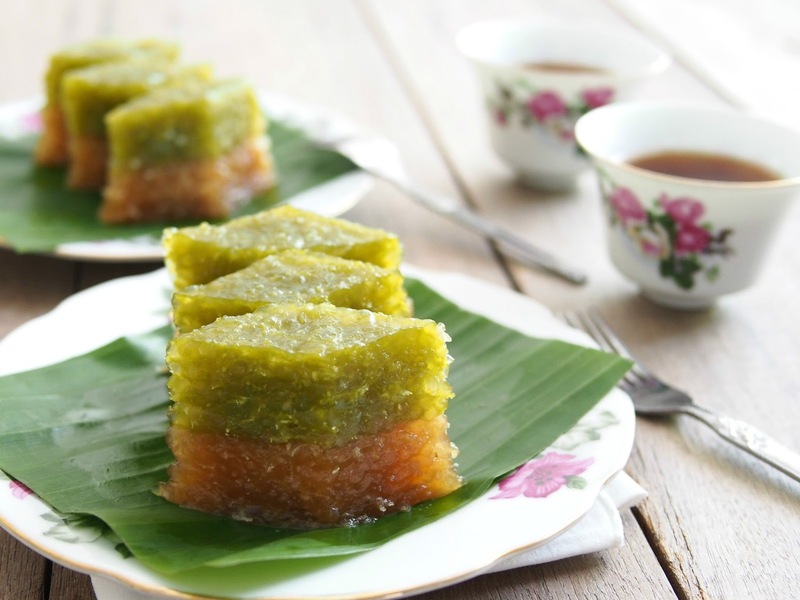 Prepare the gula melaka syrup: Add gula melaka, water and pandan leave into a small saucepan. Cook over low heat until palm sugar melt. Sieve and set aside. 3. Mix soaked sago, grated coconut, coconut milk and salt in a big bowl. Separate into two portions. 4. Portion A - Add Gula Melaka syrup into the first portion of sago mixture. Mix well and set aside. 5. Portion B - Mix the second portion of sago with pandan paste and sugar. Set aside. I reduced the sugar in this recipe. Please add more sugar if you like it sweeter.